We have tweeted and posted about the Lodewijk van der Grinten Prize before. In this post we will go further into what the prize is and why we were nominated. Back in September we heard that our CEO Ruud Rouleaux was nominated for the Lodewijk van der Grinten Prize 2018. Together with two other nominees he is in the race to win this prestigious regional award for entrepeneurs. In less than two weeks, on December 11th to be precise, we will know who won. In this blog we will explain a bit more about this award, its history and the other nominees. The story begins over 100 years ago. 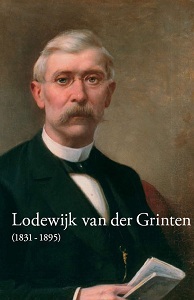 The award is named after Lodewijk van der Grinten (1831 – 1895), founder of the current Océ. The name is not chosen without reason. Océ has become one of the biggest economic powers in Venlo and its region. 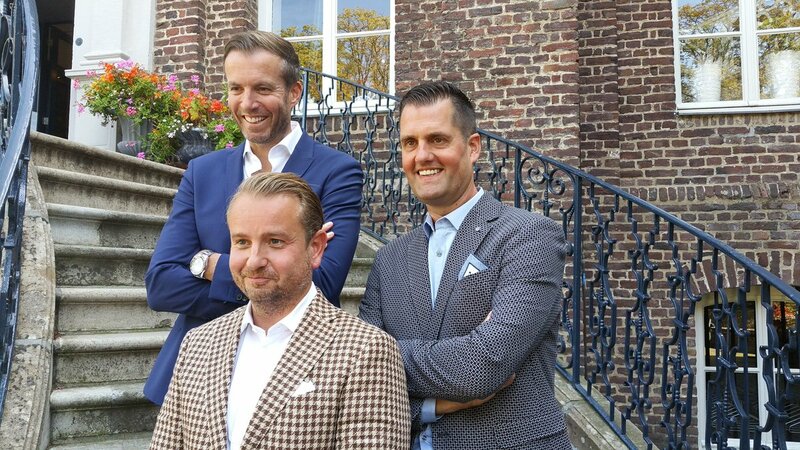 The award is an initiative of the Foundation Lodewijk van der Grinten Business Award, in which LLTB Horst Venlo, Venlo Small and Medium Businesses (MKB), Entrepreneurial Venlo and the city of Venlo participate. It is handed out during a ceremony ever since 2010. The award is also made possible by sponsors, of which colorFabb is one. The city if Venlo is located in the south of the Netherlands, next to the German border and in between the big harbors of Rotterdam and Antwerpen on one side and the German Ruhr area and Central Europe on the other side. Venlo and its surrounding region has been called one of the (if not the) best logistics hubs of Europe! With so much business in the area it is hard to stand out, which makes winning the award such an achievement! Every year the organisation picks a theme and this year’s theme is Groeibriljantjes, a Dutch collquialism for relatively young companies which are excelling within their field. Beyond a start-up but growing with great energy. Literal translation comes down to “growth brilliance”, but it is not only growth that matters. Also vision, innovation and a clear strategy are things that matter. Now, it is clear for everyone who even dabbled very minimally in 3D printing that this industry can cause a lot of change. Not saying that it is already there (the hype has passed and there is still no 3D printer in every household – nor do we have flying cars, but that’s another story), but “3D printing has the potential to revolutionize the way we make almost everything” (the words of Barack Obama, not ours – although we have this painted on one of our walls). As colorFabb we started with basic PLA filament and expanded to special materials (woodFill, bronzeFill, etc.) before starting strategic partnerships with companies like Eastman, Lehmann+Voss, etc. to create more functional filaments. Our portfolio is now more diverse than ever (check our catalogue for a glimpse) and with Color on Demand we are making the first steps to create custom made filaments for our users. But we don’t see ourselves as a filament producer alone. We offer complete sollutions in terms of polymers and 3D printing. With our sister companies Helian Polymers (masterbatches, additives and bioplastics and mostly active in the injection molding industry) and Blackbelt 3D (the revolutionary belt printer) and operating from our state-of-the-art, environmentally conscious 3D Application Center we offer more added value than just a spool of filament. With our customers we actively develop applications, work on custom materials and advice on how to implement 3D printing in all kinds of companies. The synergy between the companies, the discussions with our customers and the connections to raw material suppliers, OEMs and all the in-house knowledge make colorFabb a unique player in 3D printing. Something the jury has also acknowledged by nominating us. Already proud to be nominated (the award is kind of a big deal here), we have been doing our best to win it. Full disclosure: colorFabb has been involved with the Lodewijk van der Grinten Prize before by printing the commemorative awards for the nominees in the past few years. You can find more here and here. Rudy Claessens from Caroz. Caroz is a service provider in logistics. Remember how we wrote that Venlo is a logistical hotspot? Caroz is using this geographical position and combines it with clever IT solutions and specialists to make the complex world of logistics managable for their customers. Based in Venlo, they also hold office in China and offer unique logistics solutions. Roy Hermans from Hermans Group. An entirely different field is where Hermans Group works in: Indoor recreational parks for young, but also old-but-young-at-heart. The Ballorig indoor playgrounds are already very well-known in this region, but the Hermans Group focusses on fitness and sports as well and is rapidly expanding with hundreds of employees!